I don't like being bitten by mosquitoes any more than the rest of you do, but worldwide the real reason to avoid them, kill them or alter them is the enormous disease burden they cause. One recent estimate , surprising to me, said "mosquitoes have been responsible for half the deaths in human history." I was aware, having lived as an Air Forced physician in the Philippines and traveled in South America and Africa, that malaria was one enormously dangerous, mosquito-carried disease, but there's a long list of other illnesses that contribute to the threat from these insects. From 1690 to 1905 major epidemics of yellow fever struck parts of southern and eastern America: Boston, New York, Philadelphia, New Orleans killing over 40,000 people. A 2006 PBS website gives short summaries of nine of the outbreaks and alludes to even larger mortality figures. And then there's dengue, a disease primarily transmitted by the bite of infected female Aedes Aegypti mosquitoes. 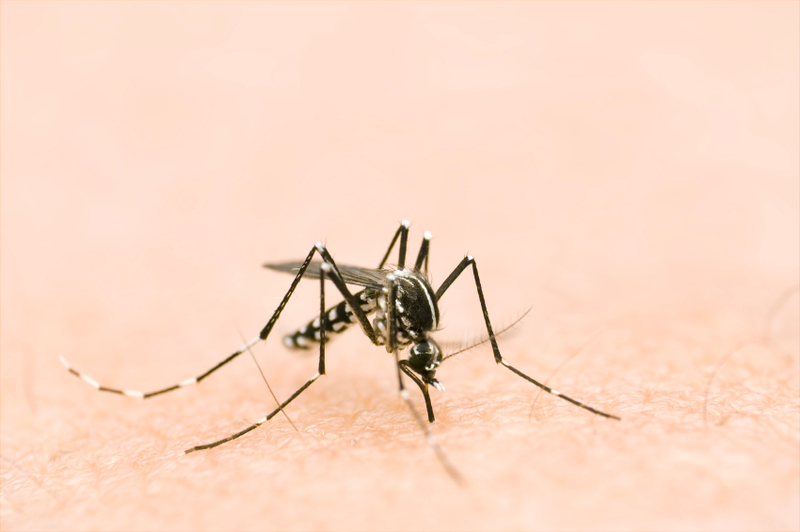 They don't make the telltale sound that alerts you to other mosquitoes, they also strike during daytime and may follow their human target, biting repeatedly. 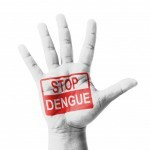 Dengue attacks 400 million people every year world-wide., mostly in the tropics and sub-tropics. Three-fourths of those infected never develop symptoms and of the remaining 100 million, a large majority have a mild to moderate nonspecific acute illness with a fever. But 5% can have severe, even life-threatening disease with terrible joint and muscle pain (It's called break-bone fever), hemorrhages and shock. The World Health Organization estimates 22,000 die from dengue yearly, but other estimates range from 12,000 to 50,000. The first known case in the United States occurred in Philadelphia in 1780 and was documented by Benjamin Rush, the distinguished physician who was a signer of the Declaration of Independence. The Center for Disease Control and Prevention (AKA the CDC) has an entire chapter on dengue in its "Infectious Diseases Related to Travel" publication and a shorter version with links for travelers. Their maps of disease distribution focus on warmer areas in Africa, Central and South America, Asia and Oceania. There has been no vaccine available to prevent the disease and no specific anti-viral treatment for those with severe cases of dengue. Because of known bleeding complications, those who get the dengue are advised to avoid taking aspirin or any of the nonsteroidal anti-inflammatory drugs , AKA NSAIDs, such as ibuprofen. The continental United States was essentially dengue-free for over fifty years, but marked increases in dengue infection rates have occurred in our hemisphere, mostly in South America and Mexico. Now Aedes Aegypti is back in Florida, Texas, and Hawaii. The article in The New Yorker mentioned a small 2009 outbreak of dengue in Key West with fewer than 30 cases, but that was the first real brush with the disease there in over seventy years. In 2010 there were twice as many cases. An entomologist (insect specialist) with the Florida Keys Mosquito Control District reminded the reporters that the manner in which the populace lived was crucial; from 1980 to 1999 there were only sixty-four cases on the the Texas side of the Rio Grande and 100 times as many just across the river. What was the difference? Likely screens on windows, cars with AC running and windows closed and how often people were exposed outdoors. 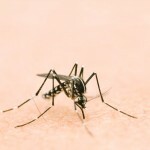 Key West, in a 2013 followup, had seen no further cases, but the World Health Organization called dengue the "fastest-spreading vector-borne viral disease," saying cases had gone up thirty-fold over half a century. Why has this happened and what can be done about it? Is this another consequence of global warming? After all dengue has appeared in France and Croatia for the first time. But I just watched an online video by Dr. Paul Reiter, a world-famous medical entomologist, who spent much of his professional career at the CDC's Dengue Control branch. It was obvious that he does not believe in man-made global warming (I do) or that any form of global temperature change is responsible for the spread of malaria or dengue. How about used tires? He thinks they are great incubators for mosquitoes and billions of those tires have been moved around the globe. So Aedes aegypti has adapted to the city, in part because of our habit of having water-containing used tires around the places where we live. I don't have any old tires in my yard and I change the dog's water bowl and the bird water outside frequently. A few new ideas are out there: a British company called Oxitec has genetically modified (GM) mosquitoes, making the males able to mate, but also giving them a gene which kills their offspring soon after they hatch. An initial field trial in Brazil was successful in markedly reducing the population of disease-carrying adult females (remember, males don't bite humans for a blood meal; females do). Further field trials of these GM-mosquities, titled OX513A, have met with considerable opposition and an engineer involved has published a paper examining the ethical issues involved. The lifespan of mosquitoes is short and they don't appear to be a major food source for other creatures; the most significant issue likely is fully informing the people in the test area are who may consider OX513A to be just another threat. A French pharmaceutical company recently announced an experimental vaccine for dengue was moderately successful in a late-stage, placebo-controlled clinical trial involving 10,000 children in Southeast Asia, reducing dengue incidence by 56%. A similar clinical trial is underway in South America. It's a bad disease, coming back at us, but perhaps there's some good news on the horizon.